Well, does it? If so, I see no reason why you shouldn’t tell the world about it. 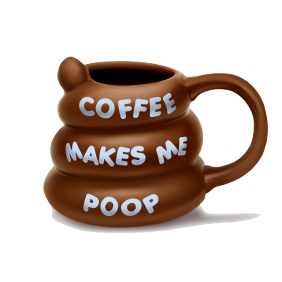 And what better way than this wonderful, poop-shaped, poop-colored coffee mug? If coffee makes you poop, own it! All coffee drinkers will love this. All of them. 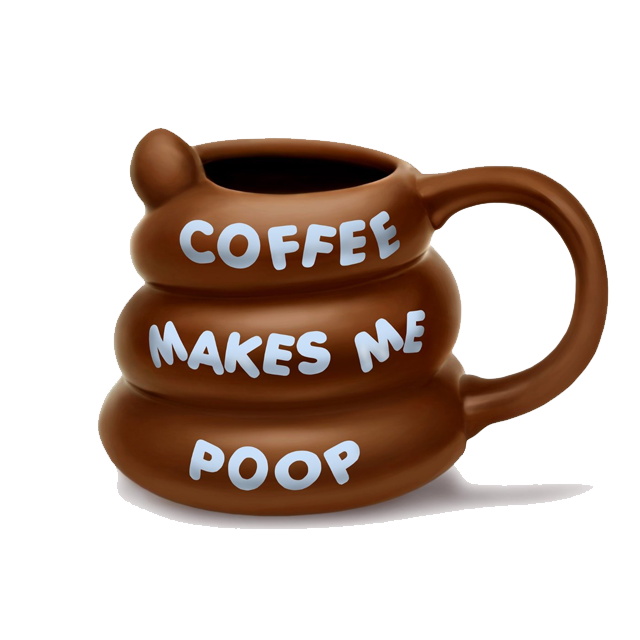 If you really enjoy coffee mugs that remind you of pooping, don’t forget to check out the toilet bowl mug.